Latest figures show that the export of municipal waste has only been reduced by around 7% since the opening of Dublin's Poolbeg incinerator. Industry experts say exports will continue to be high for years to come because of the lack of other thermal treatment plants. The Poolbeg incinerator can burn 600,000 tonnes of waste a year and has been running at full capacity since last December. However, figures from the TransFrontier Shipments Office show that 102,077 tonnes of black bin waste were exported in the first quarter of this year compared to 109,699 tonnes in the same period last year - a reduction of just 7,622 tonnes. Kevin Swift, Regional Waste Co-ordinator for the Connacht-Ulster Region, said exports will continue to be high because infrastructure has not been developed to cater for the reduction in landfill capacity. He said that, of the five remaining landfills, one in Co Kildare has had its capacity reduced and another in east Galway is due to close next year. There were 29 landfills in 2007 according to Environmental Protection Agency figures. Although two cement kilns have received permission to increase their waste burning by 130,000 tonnes a year, it will take some time for the expansions to come into effect. A decision is still awaited on Indaver's proposed incinerator in Cork. 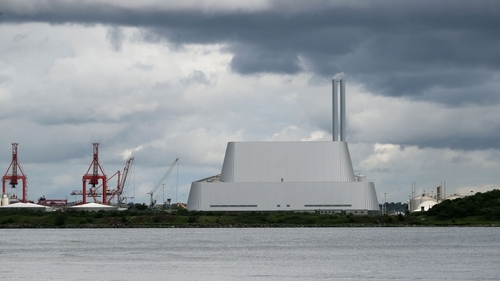 Meanwhile, the Poolbeg incinerator received just over 67% of its waste from the four Dublin local authority areas. A spokesperson for operators Covanta pointed out that the Dublin Waste To Energy Facility is obliged by its planning to accept waste "primarily" from the Dublin region. The company added that the Dublin waste region no longer exists and has been subsumed into the Eastern Midlands Waste Management Region also covering eight other Leinster counties, and this region supplies 85% of the plant's waste. The remaining 15% of waste going to Poolbeg comes from the rest of the country.